This topic contains 3 replies, has 1 voice, and was last updated by Billy 4 years, 1 month ago. I call this Wolverhampton bygone scene. Although in this case our Council and Planning department in Wolverhampton weren’t the prime-movers in the first instance, that brought about this sorry sight. What can you see about this scene that disappoints you – I would say it has many a tale to tell. John Favill Old Wulfrunian now residing in Winsconsin is absolutley on the spot as I knew he would be. 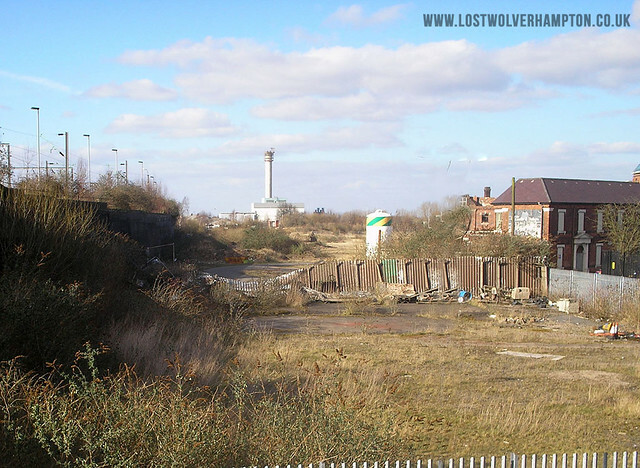 My fading memory says that the bridge in the distance that you can see under the shadow of the gasholder is Cannock Road and the single line ending in a buffer stop is what remained at that time of the GWR. So if this is correct the photograph was taken at the location of the pedestrian bridge that used to be from Culwell to Lock Street. This would mean that that just to the lower right of the photograph. Is where the railway siding to which the hops were delivered to the Brewery. I read once that the siding was called Rhubarb siding as the horses that pulled the carts into which the hops were transferred often left their deposits which enabled an abundant crop of Rhubarb to grow. Am I right or should I be left somewhere and forgotten. Not much left today of the Rhubarb sidings John.As you can see from this photo taken today March 2015. 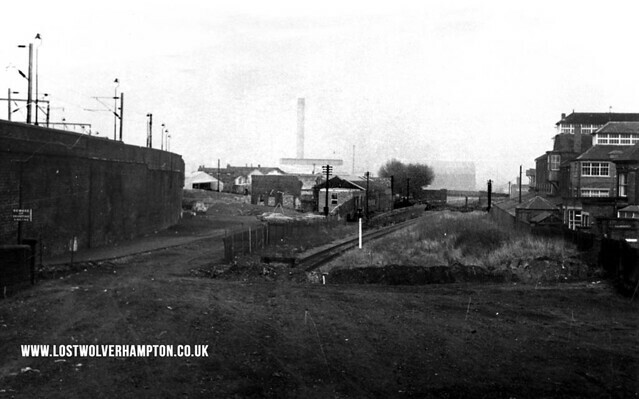 This was taken from the top of the once 19 steps above todays Culwell Street looking toward Bushbury, the derelict Butlers Brewery is on the right.